Want to speak more Japanese? New JapanesePod101 lesson series start January 2nd! Want to speak more Japanese in 2017? You need exposure to native Japanese conversation from day 1. You need a native Japanese speaker to explain it all – the words, the grammar, and cultural nuances. And you get all of that in every single JapanesePod101 lesson. Starting January 2nd, 2017, we’ll be publishing brand new seasons of Audio and Video Lessons to get you mastering Japanese the fast, fun and easy way! Want to know what you can expect? Remember, JapanesePod101’s newest lessons are free for the first three weeks! You have three weeks worth of lessons at any given time. Oh, and the first 3 lessons of every series are free too! Check out the newest JapanesePod101 lessons for free! Click here to learn Japanese with the newest lessons for FREE! Get a BIG 31% OFF before the JapanesePod101 Valentine’s Day Pre-Sale Ends Tomorrow! You love the Japanese language and culture. We have fun making them. You get over 390 hours! You love that you’re speaking Japanese already. And we love that too. Click Here to Learn Japanese for Just $6.90/Month with Unlimited Access! You start speaking Japanese from your first lesson with our proven system. JapanesePod101 has over 500 million downloads for one simple reason: Because our system works. 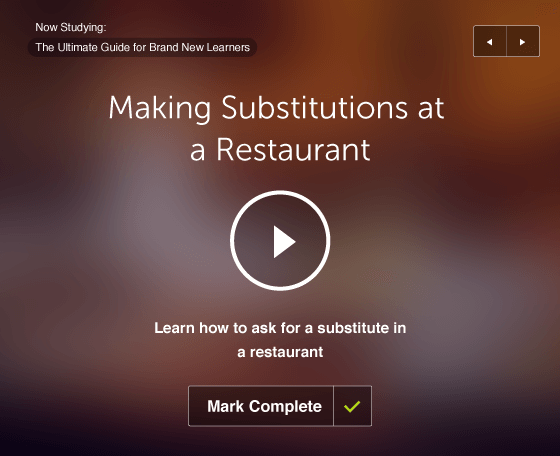 So, you’re learning with a proven method. A tried and tested system from a company with 10 years of experience. NEW Bonus! 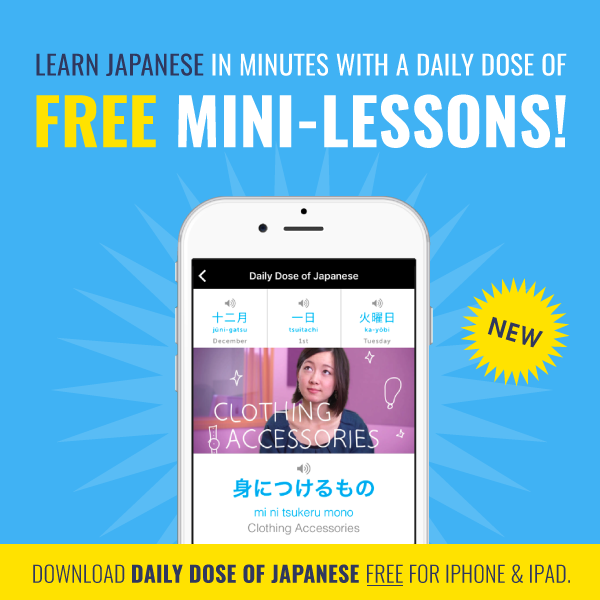 Daily Japanese Lessons with the Daily Dose App: You get quick and easy lessons, every day. As a Premium member, you also get full access to past mini-lessons and bonus audio and video lessons. Click Here to Learn Japanese for $6.90/Month or $0.23/Day! Click Here to Get 390+ Hours of Japanese Lessons & More at 31% OFF! In fact, take a full 60 days to try it all out for yourself. If you decide later that you don’t have time to learn Japanese or if you are dissatisfied for any reason, contact us for a full refund. No hassles. No questions asked. With 500 million downloads, tens of thousands of success stories and thousands of active students, you can trust us to help transform your dream of learning Japanese into reality! Start learning Japanese with 390+ hours of Japanese lessons! Sign Up Now! Click Here to Learn Japanese for Just $6.90/Month or $0.23/Day! P.S. Pre-Sale Ends Tomorrow! Get a Full 31% OFF at JapanesePod101. Our annual Breakthrough Sale will then take over after this Valentine’s Day special expires at midnight. Get unlimited Japanese learning with Premium for as low as $0.23/day or $6.90/month before this discount expires tomorrow. Even complete beginners will understand more Japanese and learn fast with this. Ready? No Japanese word or phrase escapes you. You learn on the spot. 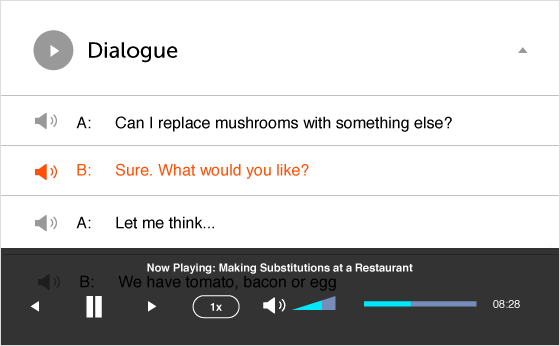 Your Japanese listening skills get sharper and sharper. The result? You learn and master Japanese faster. So, if you’ve had a hard time understanding Japanese as it’s spoken, this new study tool is perfect for you – Video Lesson Captions. 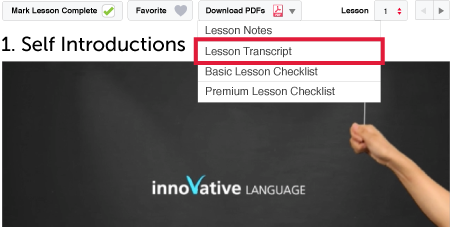 If you’re a Premium user, be sure to check it out on our select video lessons! If not, take advantage of our upcoming sale and get 31% OFF Premium plans (click here) with this sneak peek. How can YOU take advantage of this and learn Japanese faster? Currently, Video Lesson Captions are available for Must-Know Japanese Holiday Words, Absolute Beginner Japanese for Every Day and Japanese Words of the Week video series. So you can access any one these lessons. 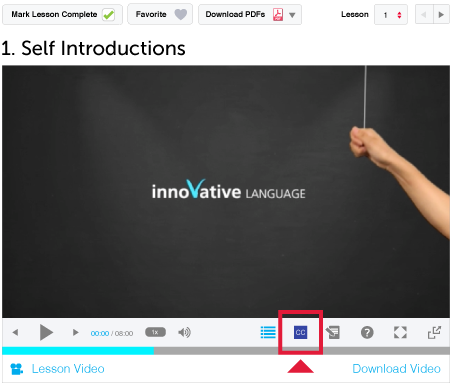 With a quick click, you’ll now see the captions on your video lesson. Just sit back, watch, read along and learn more Japanese than you would through just watching. The new Video Lesson Captions are available for: Must-Know Japanese Holiday Words, Absolute Beginner Japanese for Every Day and Japanese Words of the Week. And yes, we’re working on releasing this feature across ALL of the JapanesePod101 video lessons. Click here to visit JapanesePod101 Video Lessons! P.S. Not a Premium user? Take advantage of our upcoming 31% OFF Premium Valentine’s Day Pre-Sale. Start speaking Japanese minutes into your first lesson with this BIG discount. Unlock 390+ hours of audio and video lessons by real teachers and dozens of study tools. That’s as low as $6.90/month, or $0.23/day with this exclusive sneak peek! What say you to a cup of tea? How about…a new app, our 34 Language Celebration and 34% OFF Premium and MORE Japanese lessons by real teachers? Bam! Didn’t expect that, did you? The year’s just started and you’re already getting the newest study tools and best deals. So what’s this new app that you’re getting? And what’s this celebration? Keep reading! You asked, we listened. And on January 1st, we launched the new websites for Afrikaans, Romanian and Urdu! This brings us to 34 languages that you can now learn! If these were on your wish list, be sure to visit them below. 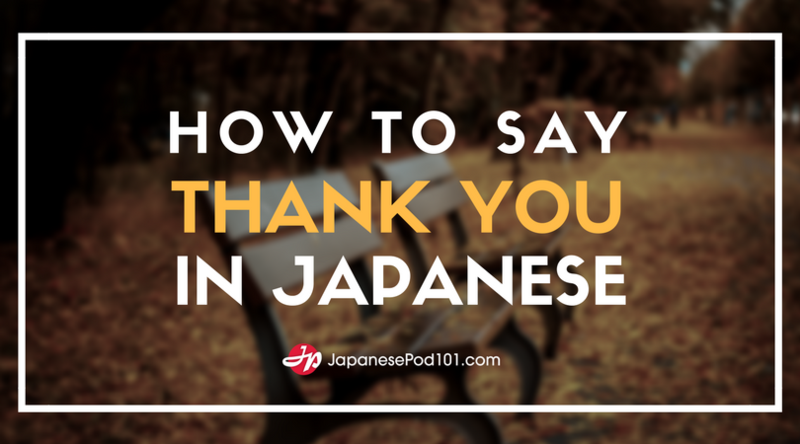 And…as our thank you for helping us grow, get 34% OFF Premium at JapanesePod101 as part of our 34 Language Celebration! Hurry! This ends February 3rd, 2016! 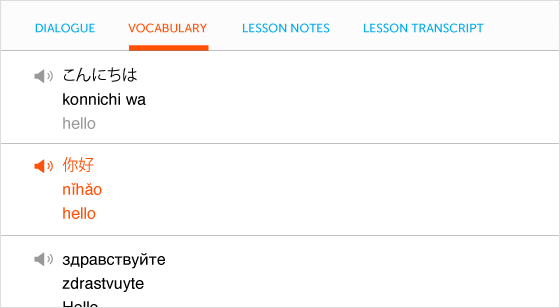 2) New For iPhone & iPad: Learn Japanese in Minutes a Day with This! 3) 2016 Lesson Schedule: Your New Japanese Lessons for 2016! Ready to speak and master more Japanese in 2016? You are because we’ve got you covered with brand new audio and video lessons by real teachers. New JapanesePod101 lessons started this month and come out every week. What lessons can you expect? Check out our publishing schedule below! If you want to unlock complete access to 390+ hours of lessons and our entire Japanese learning system, take advantage of the 34% discount as well! Click Here to See What Japanese Lessons Come Out Every Week! Want to unlock our entire Japanese learning system at 34% OFF? Now’s your chance! Start speaking Japanese from your first lesson and save BIG. Unlock 390+ hours of audio and video lessons by real teachers, lesson notes, Premium study tools, exclusive apps and more. Get 34% OFF Premium – just $6.60/month or $0.22/day – ‘til February 3rd, 2016. We’re inviting you to download your new secret weapon for learning language in 2016. You’ll learn Japanese in minutes a day, every day, guaranteed, with mini-lessons delivered directly to you. Learn Japanese words, phrases, grammar and more with a quick daily dose! P.S. You’ll Learn Japanese in Minutes a Day, Every Day, Guaranteed. And you’ll never feel overwhelmed. The Daily Dose App is designed to make language learning quick and easy so you can progress fast. Be sure to download it right now. The “Challenge” is quite simple: Learn AND master Japanese in the next 12 months. This special bonus includes: Monthly audio lessons with tips, tricks and tools to help you get motivated, stay on track and improve your Japanese all the way to December 2016. For Challenge subscribers only! 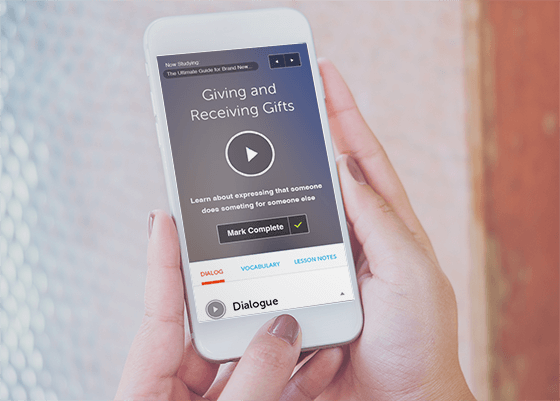 This special bonus is in addition to the 390+ hours of high-resolution audio and video lessons by real teachers, learning tools and special resources available to both Premium AND Premium Plus members! As great as our Premium plan is, however, nothing helps you learn and master Japanese faster than our uber-exclusive PLUS Plan. 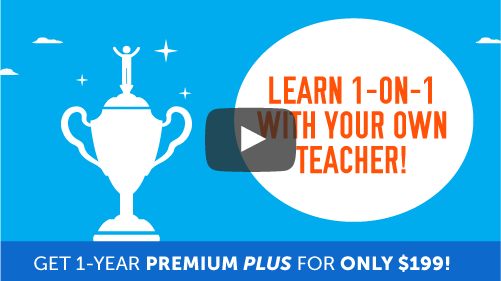 1-on-1 Interaction with Your Japanese Teacher: Learn directly with your teacher via Premium PLUS My Teacher. Get help with all your questions and problems. Ongoing Professional Assessment: Get an assessment of your Japanese. Understand your strengths and weaknesses so you know what to study next. Weekly Assignments & Achievement Badges: You get assignments every week from your teacher. With every completed task, you unlock badges to mark your Japanese improvement and accomplishments. But hurry: We have VERY LIMITED slots available for Premium PLUS due to a limited number of available Japanese teachers. And you don’t risk a cent regardless of which plan you choose because joining is risk-free. Every purchase is backed by a 60-day money-back guarantee. If you’re not speaking Japanese as fast as you’d like, contact us for a full refund. With more than 500 million lesson downloads, 10,000s of success stories and the world’s most advanced language learning system, JapanesePod101 can and WILL transform your new year’s resolution into reality and having you speaking Japanese from the very first lesson! What are you waiting for? Click here to get UNLIMITED Japanese lessons and be part of the exclusive Inner Circle! Want to speak more Japanese? New JapanesePod101 lesson series start January 4th! Want to speak more Japanese in 2016? You need exposure to native Japanese conversation from day 1. 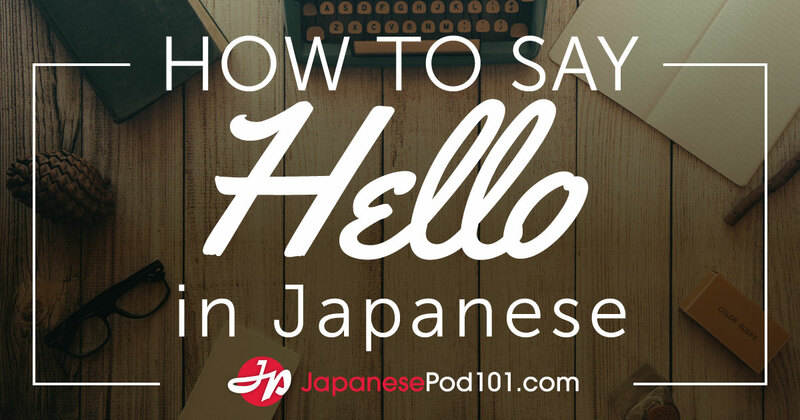 You need a Japanese speaker to explain it all – the words, the grammar, and cultural nuances. Starting January 4th, 2016, we’ll be publishing brand new seasons of Audio and Video Lessons to get you mastering Japanese the fast, fun and easy way! Want to know what you can expect? Want to unlock our entire Japanese learning system at 34% OFF? Now’s your chance! Start speaking Japanese from your first lesson and save BIG. Unlock 390 hours of audio and video lessons by real teachers, lesson notes, Premium study tools, exclusive apps and more. Get 34% OFF Premium – just $6.60/month or $0.22/day – ‘til February 3rd, 2016. 1 month of JapanesePod101 Premium for $5 – GONE! But don’t fret! There are still 5 ways to save up to 53% and realize your dream of learning Japanese. Unlock the largest library of lessons in the world – 390+ hours of lessons by real teachers – and our proven learning system backed by 10 years of experience. Hurry! Less than 101 spots per deal left! Go Basic or go Premium. Whichever you choose, you’ll enjoy 47% savings on ANY JapanesePod101 subscription. HURRY! This deal is selling out FAST! Learning Japanese for life? Invest in your future with Lifetime Premium. You get unlimited Japanese learning and unlimited JapanesePod101 Premium access – FOR LIFE. 49 savvy shoppers have already joined. Are you next? P.S. Offers are flying out fast! This is your final chance to save BIG on Japanese learning tools like Basic and Premium subscriptions and our popular Apps and Audiobooks!